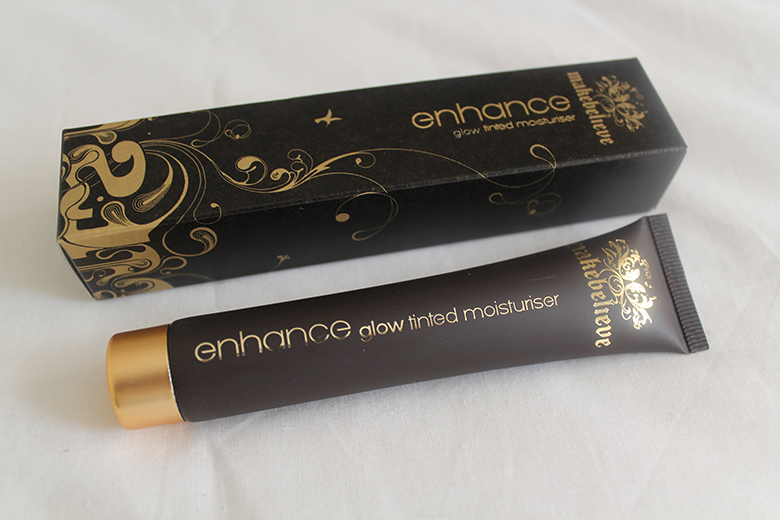 Here's another part to the bundle that MakeBelieve sent us to review, this time I'm reviewing their Enhance Glow Tinted Moisturiser. This hydrating and lightly tinted moisturiser is the perfect way of enhancing your makebelieve tan for a luminescent facial glow. 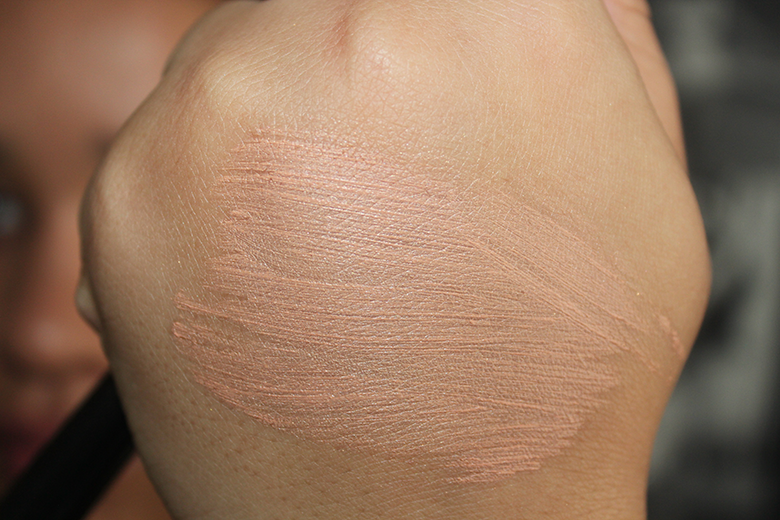 Apply to the face and blend into the jaw line to create a radiant yet smooth glow. Anytime I hear or read glow, it's hello JLo, that's all I have in my mind * no wonder I get disappointed, nothing that says glow is a miracle to turn me into JLo * The way I'm reading this blurb is if I apply their tan to my face this tinted moisturiser will help me have more of that glow!!? Honestly I don't like to apply tan to my face, it's wouldn't be fun to end up as a shocked oompa loompa so instead let's see how this can be used! 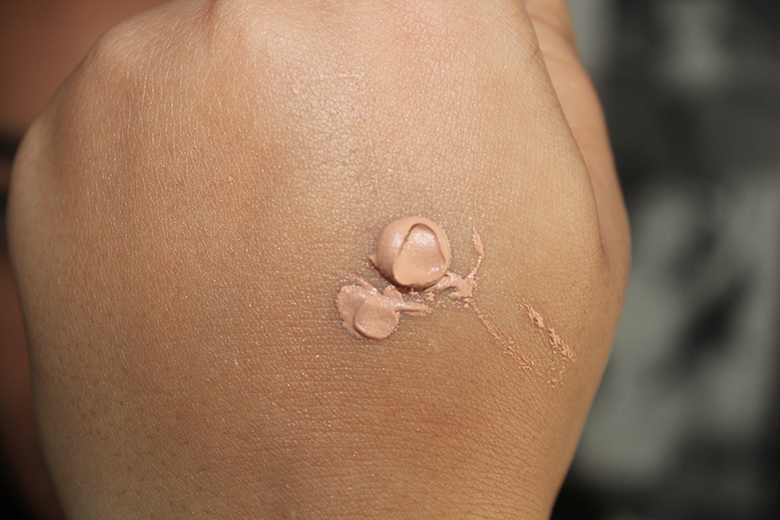 Most people use a tinted moisturiser when they don't want to wear foundation. 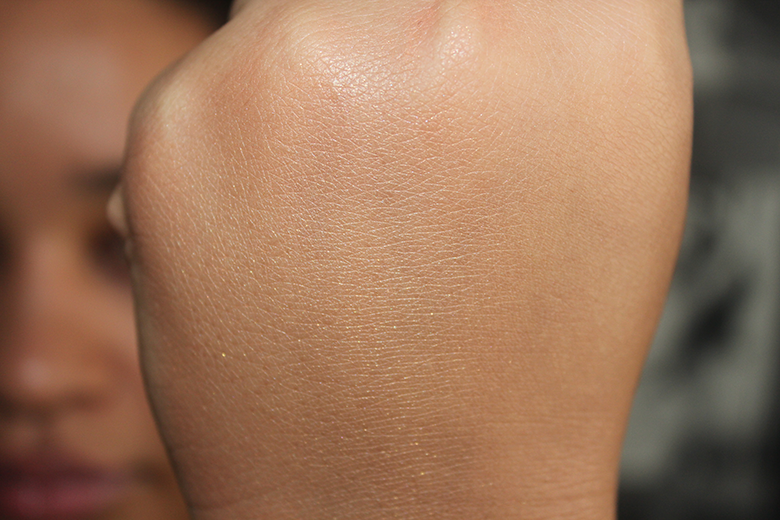 It gives them a sheer - light coverage. The one thing I was taught was tinted moisturiser doesn't replace your normal moisturiser but with the market today there are so many different types of tinted moisturisers with claims & if you feel that a tinted moisturiser you have is hydrating enough, make sure there is SPF in it so you have that protection. In personal preference if I'm using this as a replacement foundation, I'm using my normal moisturiser & with this one I'm applying this OVER my everyday moisturiser. Using this alone, isn't as hydrating as suggested! 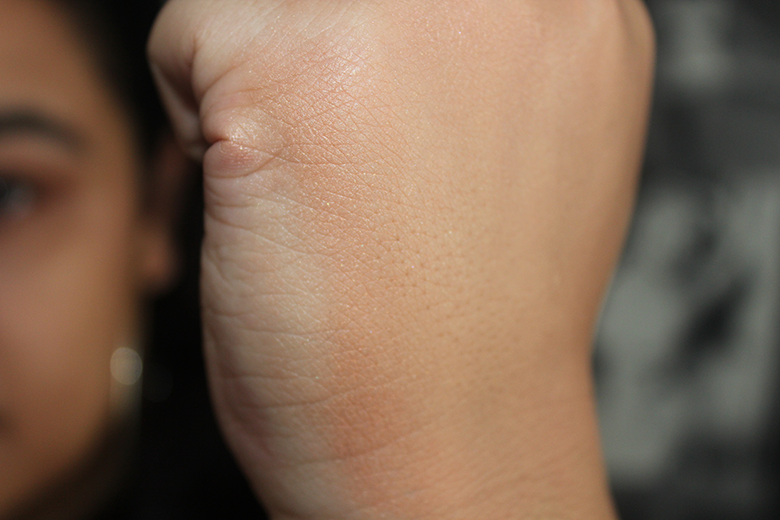 On the side of my hand I left it dry, I applied no moisturiser to it and the tinted moisturiser appears to cling more to the 'dry part' where it appears more gold! 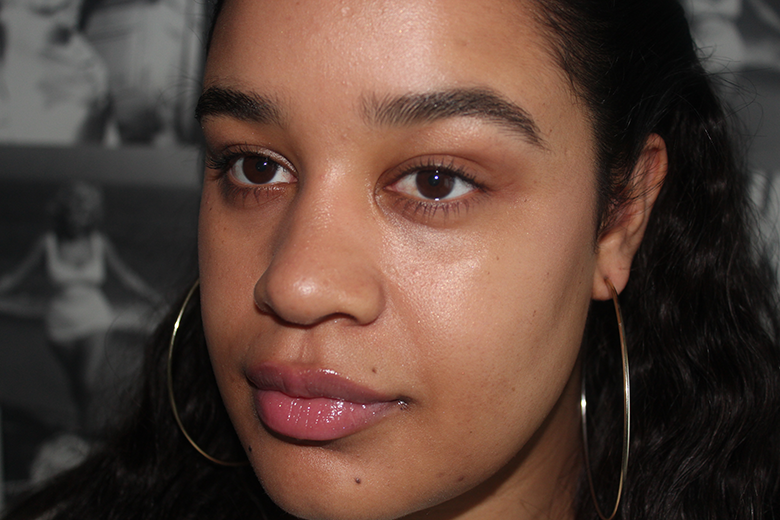 Tinted moisturiser is good for anyone, I especially loved the Stila tinted moisturiser so much it was considering dumping foundation all together. It's important to find a tinted moisturiser that does work & match your skin tone, now as this is a glow moisturiser, it's going to be light * enhance glow * for a lot of people as you may of saw in previous reviews of this. My suggestion too is, use it as you would a highlighter. Even on other body parts such as your legs, run it down the shin! 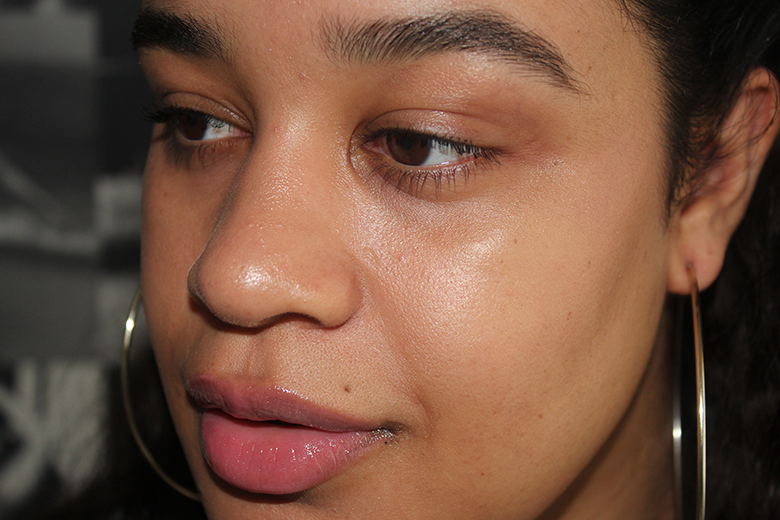 It blends well into my skin on top of the moisturiser and with the flash on on top of my cheeks where I applied more of the tinted moisturiser. I find it works so much better on top of the moisturiser and because it's very close to my skin tone I don't get 100% of the glow to be honest, maybe on top of the tan it shows up more, I will see. It's experimenting but that's my only issue - not much glow.